Seven years after the service was launched, ScholarshipUniverse is finally getting the chance to be tested by more institutions than the one where it was created. The service, which matches students to scholarships, initially debuted in 2010 at the University of Arizona, where it was developed. In 2016, the application was licensed by CampusLogic to be added into its suite of financial programs for use by colleges and universities. Now, four other schools, including Oregon State University, will be joining a "beta" network to act as advisory partners for ScholarshipUniverse. The program matches prospective students with scholarships (both institutional and external) and manages applications, reviews and the awarding itself through a mobile experience. Outside scholarships are vetted for appropriateness and to avoid scams. To seek possible funding, the user answers questions based on his or her goals and feedback to pinpoint the best matches. At UA, more than 70 percent of prospective students have used the application to identify possible scholarships. Financial aid staff can examine fund performance, applicant volume and processing metrics fed by scholarship program data in CampusMetrics. 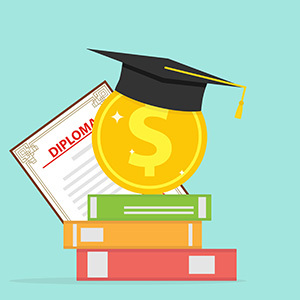 "When institutions create transparency into funding opportunities for students, they help to build college-going aspirations, and ease both financial burden and confusion," said Chris Chumley, chief operating officer for CampusLogic, in a prepared statement. "ScholarshipUniverse will help schools increase the utilization of scholarships to address critical equity and access challenges in higher education." The product is expected to be made available more broadly in spring 2018.